Next, children get to make their own slime to take home! All children will make slime simultaneously and get to choose their own colour so there is no time for anyone to lose interest. 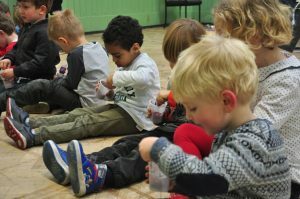 Children then move on to two more chemistry themed activities (involving bubbles and colour changing pictures) before being given their own science name on a certificate to take home. Got an enquiry or want to find out more?